Kasasa Account Executive, Brooke Cobourn, took a trip to Mankato, MN to visit Pioneer Bank and watch some MoonDogs baseball last week. The bank passed out replica MoonDogs jersey t-shirts to the first 500 fans to arrive at the game and, as you can see from the photos, there was quite a line at the gate (which extended well past the photo)! 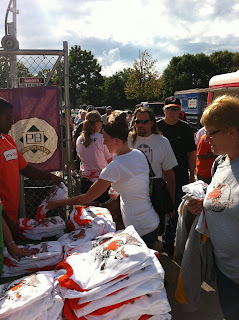 The shirts were snapped up in about 15 minutes. The game was kicked off with a double anthem: Kevin Christenson, a Pioneer Bank shareholder, sang the Canadian national anthem, and his stepdaughter, Erin Lindquist, sang the American national anthem in full uniform. She is in the National Guard and was called to active duty recently. She will be deployed to Kuwait within the next six weeks. The MoonDogs made a great comeback late in the game. They were behind the Thunder Bay Border Cats 2-7 until they rallied in the seventh inning, scoring 7 runs. They ended up winning the game 9-8. 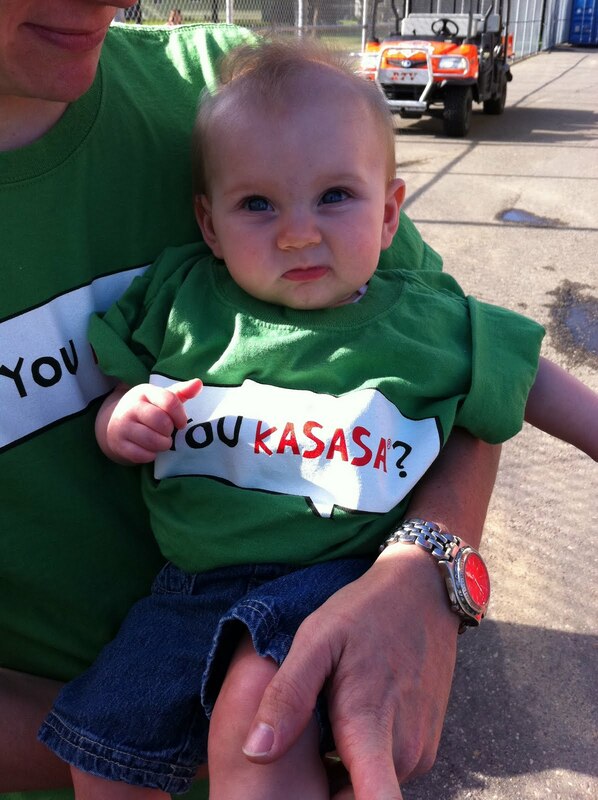 Pioneer also had a Kasasa table and handed out orange "Do You Kasasa?" t-shirts to anyone who signed up for an account or to receive more information during game day. Want to Kasasa in the Mankato area? Check out Pioneer Bank at https://www.kasasa.com/pioneerbank and check out the rest of our photos from the event on Facebook.